Rubenerd: #Anime Merry Nightmare plushies? 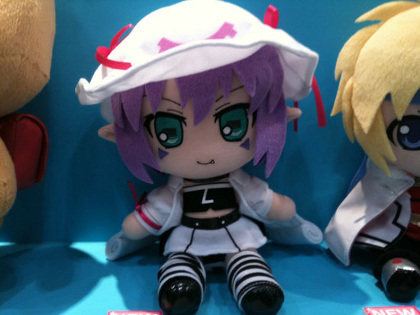 Yumekui Merry is now in plushie form according to TomoPop, complete with her cute fang, indestructible hat over her purple hair, and striped socks! I'm a 25 year old guy who's last soft toy was a Beanie Baby a decade ago. Why do I suddenly have an urge to buy this?! Wait, I know why: Japanese marketers are absolute geniuses.